People are always so concerned about first impressions, but to me, there’s something worse than falling at the first hurdle. Failing your loyal customers is the ultimate sin. Don’t you hate it when you’ve recommended a place to friends only to have it prove disappointing when they actually go there? It somehow feels like it’s impacting on your own reputation. Add that to the disappointment that perhaps one of your favourite places has lost their edge and it can be worse than a place disappointing you on your first visit. There’s a Mexican restaurant in London which has been one of my favourites for the last year. They aren’t new; in fact, they’ve been going strong for more than 5 years. They have received plenty of recognition and awards and have gone from success to success, managing to expand and open two additional outlets. They were the first authentic example of Mexican food I found in the UK since I left Texas some 18 years ago. I’ve been one of their biggest supporters, having been there some 8 times in the last year. I’ve brought family and friends there and recommended them to everyone that cares to listen. Something, however, has gone horribly wrong. It’s not a problem with the food, that’s still exceptional. The problem is all to do with the service. On my last two visits I’ve brought friends or family from out of town to show off my fantastic discovery, but I’ve ended up leaving feeling both disappointed and a little ashamed for my poor choice in restaurant. They are clearly doing well and regardless of what time you go, they are always packed. I’m happy for them, as their success is well deserved. The sad thing is, it all seems to have gone to their head. Painfully slow service, cramming people in on tables which are too small, bringing the wrong orders, forgetting to bring initial drinks until the starters have already been cleared and the mains already started, not noticing that some guests haven’t had their order when the rest of the table has been served, and needing to be nagged for 15 minutes just to get a glass of water are just some of the examples of the problems we experienced. We’re talking about school boy errors. Even that would be forgivable, but it’s the attitude that really concerns me. When a manager came to ask us if everything was alright on one visit, we informed him they had brought the wrong main course to one of our guests. His reaction was to say “Oh”, and then go off to answer the phone. He did nothing to correct the problem, made no apology, and didn’t come back to the table until he was bringing the bill. They do not apologise for errors or even seem to see it as something to be concerned about. The bringing of the bill, in fact, was the only moment we saw them genuinely display an interest in speed. It now feels like this place has become a victim of its own success and is only interested in flipping tables and maximising sales, rather than focusing on what initially made them great, which was giving great service and building a strong repeat clientele. It’s as if they think you should consider yourself lucky to be there rather than considering you a valued customer. Their teams seem overworked, undermanaged and stressed. I will not be returning, nor will they get my recommendation again. Contrast that with the experience I had on my last two visits to the Garrick Theatre. The Kenneth Branagh Theatre company has been putting on some exceptional plays at the Garrick this season. What really stands out, however, is the amazing job Nimax, the theatre owners, have done developing the customer experience. They’ve thought through all aspects of the customer journey. I received an email prior to the show reminding me of when it was, how to get there, how to collect my tickets, where I might find some good local pre-theatre meals and telling me a bit about the show. A lovely touch. When you get to the theatre, the service team is exceptional. I was greeted with great eye contact, huge smiles, heaps of enthusiasm and a general passion about the theatre and the shows being shown there. Gone are the days of buying an overpriced glass of terrible wine from a stressed out, surly bartender in a cheap Paris goblet, only to pour it into an even cheaper plastic cup if you don’t manage to finish your drink before returning to your seat. The house wines are very good indeed, reasonably priced, and served in some of the nicest plastic wine glasses I’ve seen. Free water is readily available for those not wanting to spend the £3 on a bottle of water which so many other theatres force you to do. I spoke to one of the energetic ushers selling programmes and asked who the theatre was owned by and what they were like. You would usually find these employees know little about the parent company, being lucky if they can even tell you much about the theatre they’re in, but that’s certainly not the case here. He was able to tell me all the theatres the company owns, what was showing at each of the 6 theatres and even tell me what was coming up that I should keep an eye out for. Thinking he might be an exception, I asked another team member the same question and got the same enthusiastic and knowledgeable reply. I got the genuine impression their people are proud of the company they work for, they enjoy their jobs and that Nimax had taken the time to make them feel they were part of something bigger. Theatre is one of our oldest industries and I’ve often thought of them as quite complacent towards their customers and greedy with their prices. They often seem to rely on the show bringing in customers, rather than the customer experience driving loyalty and repeat custom. I’m sure those theatres are still making plenty of money, getting decent turnouts for their shows, and they don’t perceive it to be problem that needs to be addressed. It is so refreshing to see a company focus on all aspects of the experience and to put their people and customers at the forefront of what they do, remembering they are still in the service industry and challenging the way things are traditionally done. The two contrasting experiences demonstrate that, no matter how successful you are, or how long you’ve been doing things a certain way, you should never lose sight of your customers and your people. There is always room to improve and when you develop a service culture which puts your teams and your customers first, you will reap the rewards. Investing in your people, offering greater value for money and focusing on the customer experience does not have to dilute your profits either. Nimax has net revenues of about £14 million and is one of the Sunday Times top 100 fastest growing companies, in terms of profit. Customer service is more than just a transaction, it’s part of the experience, it’s part of the show. When you lose sight of its importance and focus only on the product, you lose something vital. 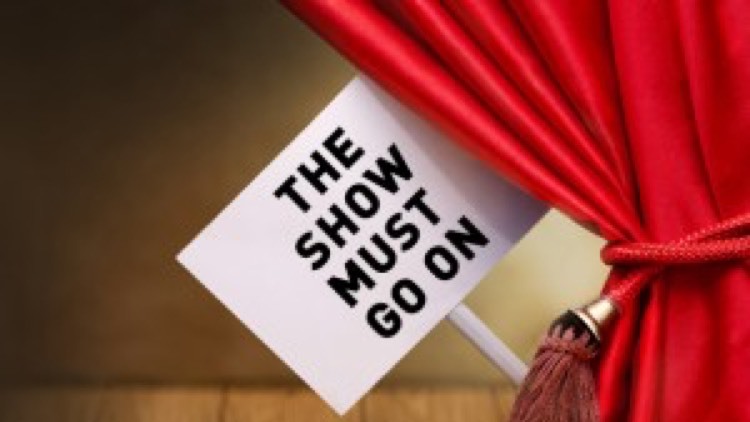 So let it be a lesson to all businesses, new and old… the show must go on!